Northbound Red Line trains will be re-routed from the subway to the elevated tracks this weekend. 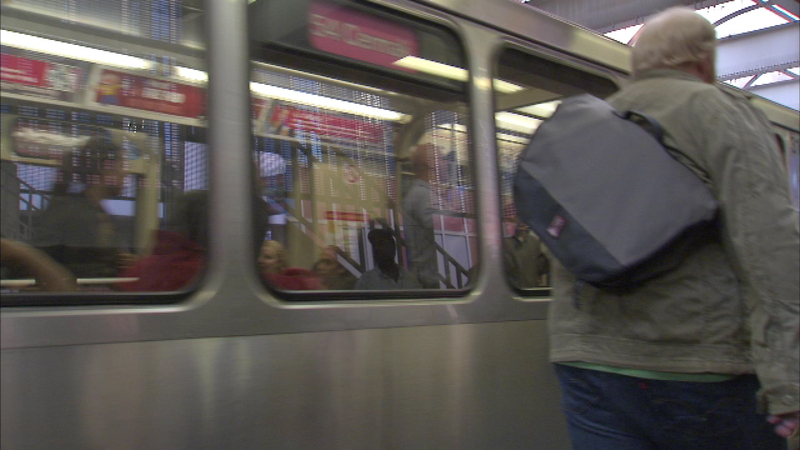 CHICAGO (WLS) -- Northbound CTA Red Line trains will be re-routed from the subway to the elevated tracks this weekend while work is done in the tunnels to upgrade the wireless network to 4-G.
From 10 p.m. Friday night until 6 a.m. Sunday morning the northbound Howard trains will be re-routed between the Cermak-Chinatown and Fullerton stations. Riders should allow for extra travel time. Southbound, 95th-Dan Ryan trains will have normal operations.